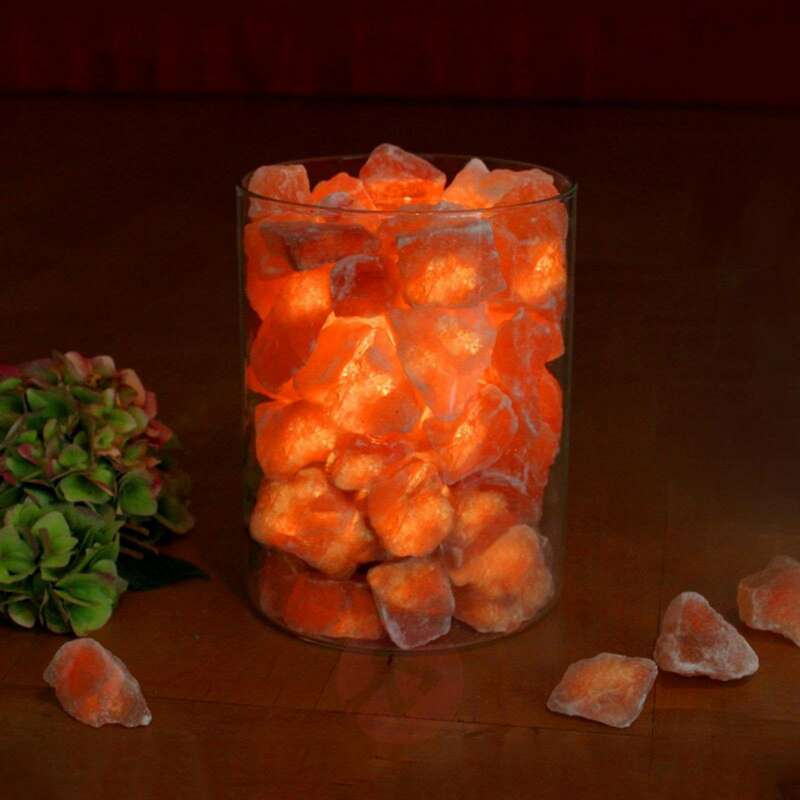 The salt crystal fire in glass is a very special decorative piece. 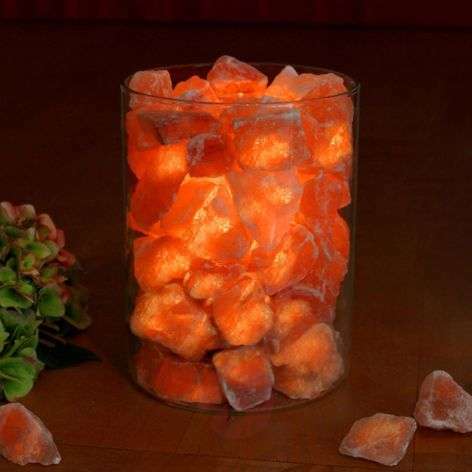 A 14 cm palm wax candle sits inside fire-resistant glass surrounded by differently-sized salt crystal stones. When the candle is lit, the salt crystal stones are beautifully illuminated.